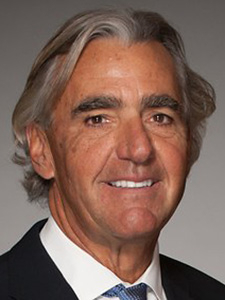 PGA of America has named ex-bank executive Seth Waugh to be their new CEO. 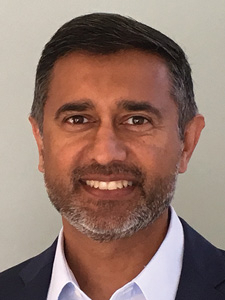 With both business savvy and a passion for golf, Waugh said, “To have a chance to lead what should be the most impactful entity in the game was too big of a privilege to not do.” Waugh retired from Deutsche Bank in 2013, and last year he became managing director at Silver Lake, a technology investment firm. The PGA of America is one of the world’s largest sports organizations, with 29,000 participating professional golfers. CSX Corporation has announced the appointment of Shon Yates as vice president of the company’s coal business. Effective immediately, Yates will have responsibility for coal sales and marketing based at the company’s headquarters in Jacksonville, Florida. 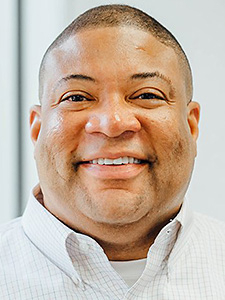 Yates joined CSX more than five years ago, serving most recently as the company’s chief mechanical officer focused on engineering, strategy and supply chain, and has a strong appreciation for customer-focused railroading. 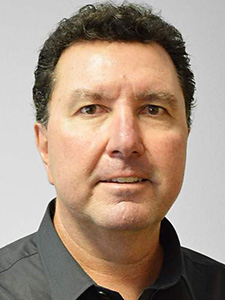 SynDaver Labs has announced that Terence Terenzi will be the new Chief Financial Officer (CFO) at the Tampa company. SynDaver, a manufacturer of synthetic human and animal bodies, brought Terenzi on prior to taking the company public in 2020. Terenzi has experience with publicly traded companies, including the IPO process and working with the U.S. Securities and Exchange Commission. Mark Douglas "Doug" Baker, M.D., joins Johns Hopkins All Children's as chief of population health and assistant dean for Johns Hopkins All Children's faculty. 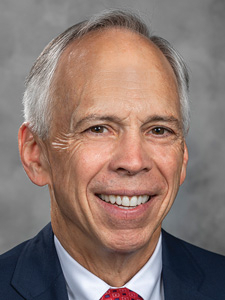 Dr. Baker is a professor of pediatrics for Johns Hopkins University School of Medicine and recognized internationally for his research into the management of fever in infants. 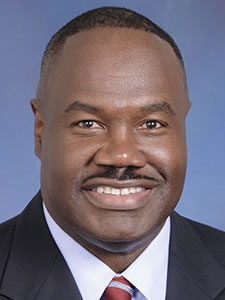 The Florida Sports Foundation recently appointed Keith R. Tribble, president and CEO of Jackson Health Foundation to serve a four-year term. The Florida Sports Foundation, Inc. is a non-profit corporation, serving as the Sports Industry Development Division of Enterprise Florida, the principal economic development organization for the state of Florida. 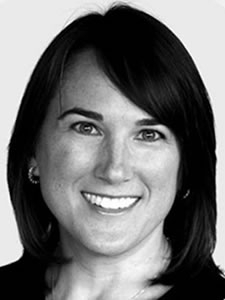 Linda Mignone has joined UMA as Chief Marketing Officer, and will lead UMA's marketing and communications efforts. Mignone brings almost 25 years of experience in strategic, brand and direct marketing with firms including Kaplan and DHL. Mignone has contributed to Fortune/CNN on leadership and management, and advises Merci360 and other start-up and incubator organizations. Scarlett Phaneuf, northwest Florida economic development representative for PowerSouth Energy Cooperative, earned the designation of Certified Economic Developer (CEcD), a national recognition that denotes a mastery of skills in economic development, professional attainment and a commitment to personal and professional growth. 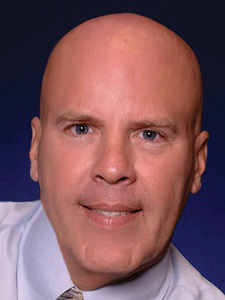 Ed Boeder, a veteran commercial real estate broker, opened SWFL PROPERTIES in Naples (www.swflProperties.Net). Ed finds income-producing commercial property to add to/diversify an individuals investment portfolio, including 1031 Tax Deferred Exchanges and represents buyers, sellers, landlords and tenants for office, retail and industrial property and commercial land. 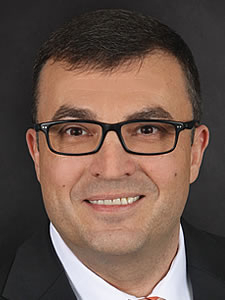 Welbilt’s Board of Directors has appointed Josef Matosevic to assume the role of Interim President and CEO. Matosevic joined Welbilt in August 2015 and most recently served as Welbilt’s Executive Vice President and COO. Welbilt, Inc. provides the world’s top chefs, premier chain operators and growing independents with industry-leading equipment and solutions. Republica, one of America’s leading and fastest-growing cross-cultural marketing and communications agencies, has announced the promotion of Melissa Richter Bartolini to senior vice president and chief strategy officer. 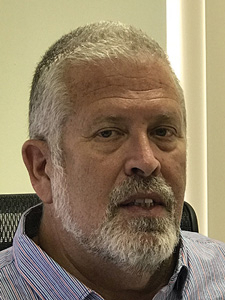 Bartolini, who was most recently head of strategy, leads the agency’s brand strategy, analytics, consumer science, and media planning and buying disciplines. The head of Mayo Clinic’s Jacksonville campus has been elected as the health organization’s next CEO. Gianrico Farrugia, the current CEO of Mayo Clinic in Florida, will succeed John Noseworthy, as president and CEO of the whole Mayo Clinic, which has major campuses in Minnesota and Arizona. Farrugia has spent 30 years as a Mayo physician. 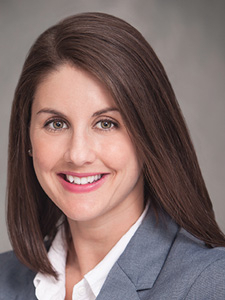 VyStar announced Jenny Vipperman as the credit union's new Chief Lending Officer. Vipperman is responsible for all aspects of the credit union's lending operations, including mortgage, consumer and indirect lending portfolios, along with collections and sales. 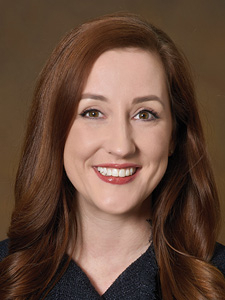 She will play a key role in the credit union's commitment to remain a reliable borrowing source for members. Chad Van Horn, Esq., was named a 40 Under 40 Award recipient from the South Florida Business Journal for his career achievements and community involvement. 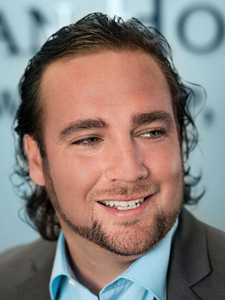 Van Horn, 34, owns Van Horn Law Group, P.A., the largest bankruptcy firm in Broward County based on number of filings (www.my341.com). The firm filed 657 bankruptcy cases from August 2017 to August 2018, more than double the second-place annual filings. Van Horn's success rests on his vision for providing holistic solutions to overwhelming debt and the effective efforts of a 24-member team. The firm's mission is to restore peace of mind to those in financial distress by providing first rate, affordable legal services with compassion and respect. 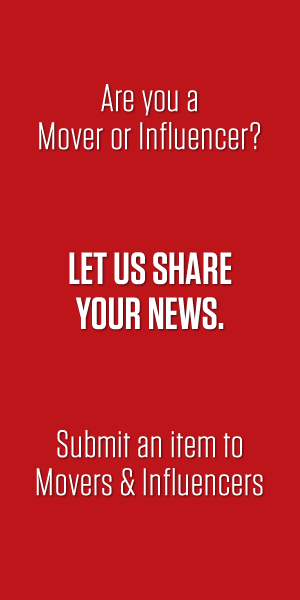 Visit vanhornlawgroup.com. 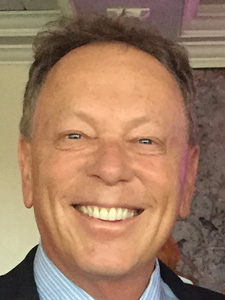 MediXall Group, a Ft. Lauderdale-based technology organization, has appointed Dr. Steven Gass to its Strategic Advisory Board. Gass is the CEO of CoreChoice, a national specialty network for radiology and neurodiagnostic studies. As an advisor, Gass will provide guidance/support on strategic initiatives as the company accelerates business growth, and expands its services. 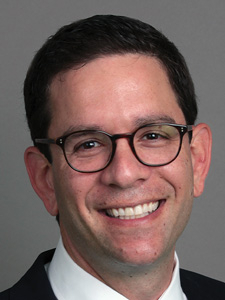 MediXall Group, a Fort Lauderdale-based technology organization, has appointed Benjamin L. Frosch to its Strategic Advisory Board. Frosch built Frosch Medical Compliance, Inc. into a leading firm that provides services designed to assist physicians. Frosch will work closely with leadership to consult on business strategy, sales/marketing, and strategic partnerships. 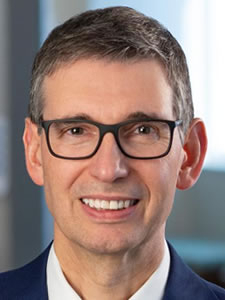 Bradley Prechtl was named CEO of American Oncology Network, a management network for thriving community oncology practices, providing administrative and contracting services and tools that help practices benefit from economies of scale and revenue stream diversification. 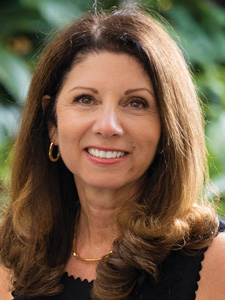 Prechtl also is CEO of Florida Cancer Specialists, America's largest private oncology group practice. 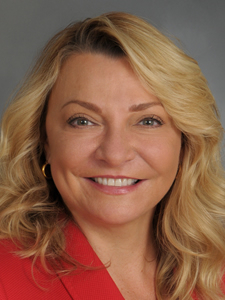 Broward Health has appointed Katherine Ross, CHCIO, MBA, as its new chief information officer. As a part of the corporate team, Ross will provide leadership and strategic direction for the development, coordination and evaluation of information management systems and services to enhance the system’s delivery of healthcare. Moffitt Cancer Center appointed Dominic Seraphin as the new vice president of Strategic Alliances & Network - a group dedicated to expanding access to Moffitt's high-quality cancer care to more people. Seraphin will concentrate on creating innovative partnerships to offer Moffitt services to more patients throughout the Tampa Bay area and beyond. Andrew Fenton has joined Skyway Capital Markets as a Managing Director, focusing on advising high yield, growth equity and real estate clients. He is an established real estate executive covering all aspects of the industry. He was recently a co-founder of a successfully listed REIT on the New York Stock Exchange focused on specialty industrial properties. 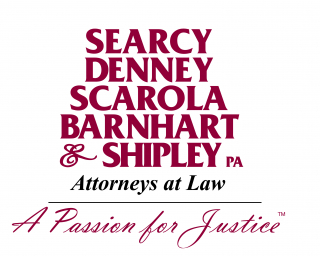 Searcy Denney Scarola Barnhart & Shipley recently announced that attorney Edward V. Ricci was selected as a shareholder of the firm. Since joining the firm in 2008, Mr. Ricci has successfully tried numerous personal injury and wrongful death cases to verdict and obtained significant settlements on behalf of his clients. 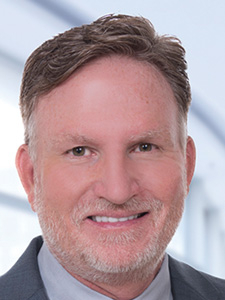 He has advocated for his clients in complicated cases involving product defects, medical malpractice, automobile negligence and premises liability. Mr. Ricci was born in Palm Beach Gardens, Florida. 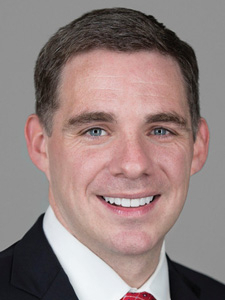 He is a graduate of Georgetown College and Georgetown University Law Center. Mr. Ricci has been selected by his peers annually for inclusion in The Best Lawyers in America and Florida Super Lawyers.